Friendship Guesthouse and Restaurant was built in 2007. Its well established and very famous in Ketambe. We offer good value accommodation in wooden rooms, wooden bungalows and concrete bungalows. Its situated in a nice garden close to the river Alas. The owner Ahmad is a professional cook. 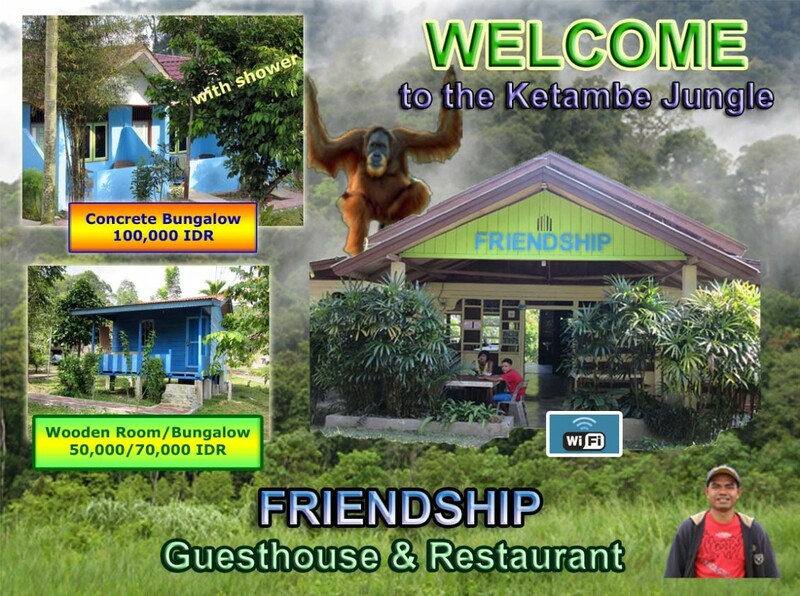 The local and western food offered in the Restaurant is said to be one of the best in Ketambe. We organize different kind of individual trekking tours into the jungle of the Gunung Leuser National Park near Ketambe. Day walks and longer trekking tours from two up to six days with overnight stay at different places are possible. Professional, experienced and English speaking guides will lead you through the rainforrest which is one of the last orang utan habitats in the world.